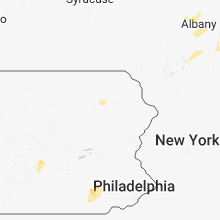 The Lake Winola, PA area has had 0 reports of on-the-ground hail by trained spotters, and has been under severe weather warnings 13 times during the past 12 months. Doppler radar has detected hail at or near Lake Winola, PA on 15 occasions, including 3 occasions during the past year. 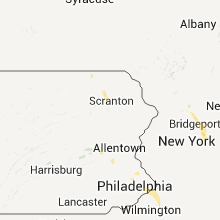 10/2/2018 4:54 PM EDT At 454 pm edt, severe thunderstorms were located along a line extending from mehoopany to near ricketts glen state park, moving east at 25 mph (public. numerous downed trees and wires were reported in monroe and franklindale between 400 pm and 415 pm). Hazards include 60 mph wind gusts and quarter size hail. Hail damage to vehicles is expected. expect wind damage to roofs, siding, and trees. 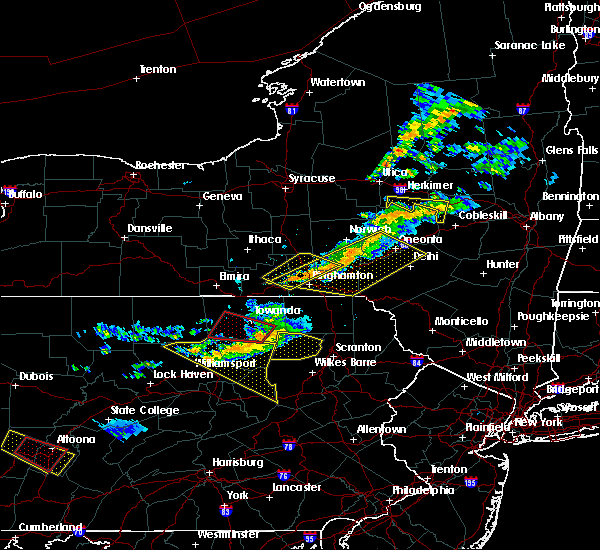 these severe storms will be near, meshoppen around 500 pm edt. 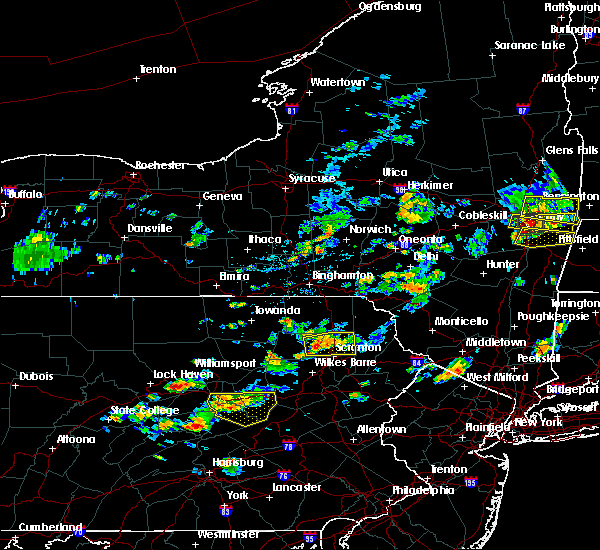 tunkhannock, lake carey and evans falls around 505 pm edt. falls, harveys lake and factoryville around 515 pm edt. 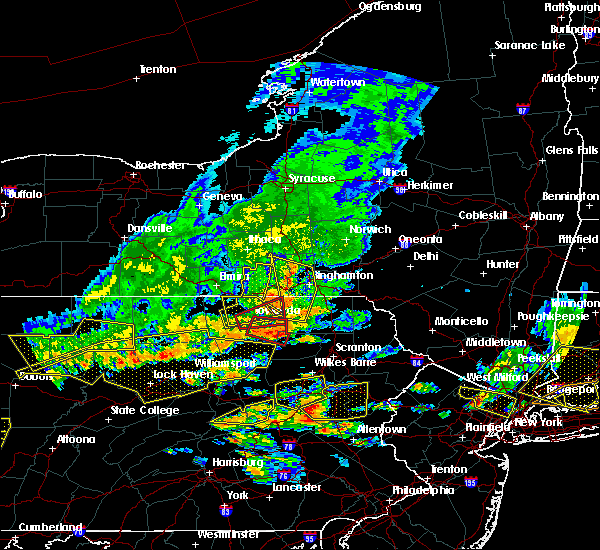 A tornado watch remains in effect until 1100 pm edt for northeastern pennsylvania. 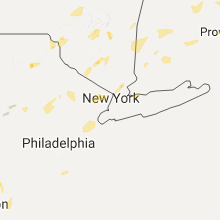 10/2/2018 4:40 PM EDT At 439 pm edt, severe thunderstorms were located along a line extending from near lovelton to near ricketts glen state park, moving east at 30 mph (public. numerous downed trees and wires were reported in monroe and franklindale between 400 pm and 415 pm). Hazards include 60 mph wind gusts and quarter size hail. Hail damage to vehicles is expected. expect wind damage to roofs, siding, and trees. these severe storms will be near, forkston around 450 pm edt. mehoopany, meshoppen and kasson brook around 455 pm edt. harveys lake around 500 pm edt. noxen, evans falls and lake carey around 505 pm edt. 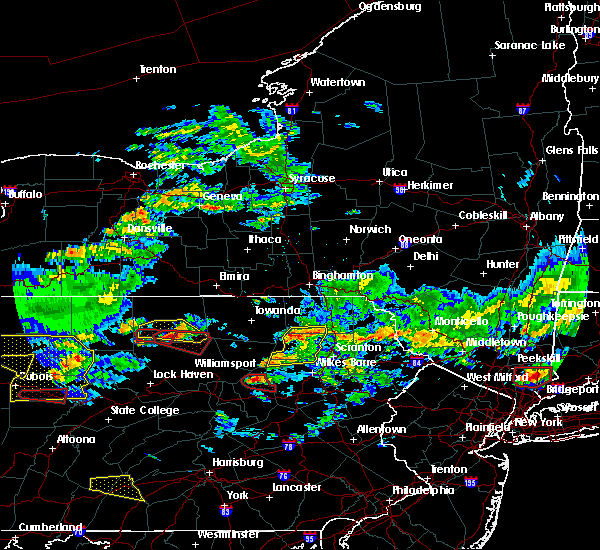 tunkhannock and beaumont around 510 pm edt. falls and osterhout around 515 pm edt. 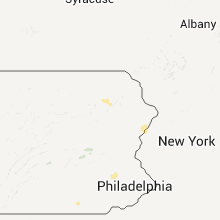 A tornado watch remains in effect until 1100 pm edt for northeastern pennsylvania. 10/2/2018 4:26 PM EDT At 424 pm edt, severe thunderstorms were located along a line extending from near wyalusing to 6 miles north of ricketts glen state park, moving east at 25 mph (public. numerous downed trees and wires have been reported in monroe and franklindale). Hazards include 60 mph wind gusts and penny size hail. Expect damage to roofs, siding, and trees. 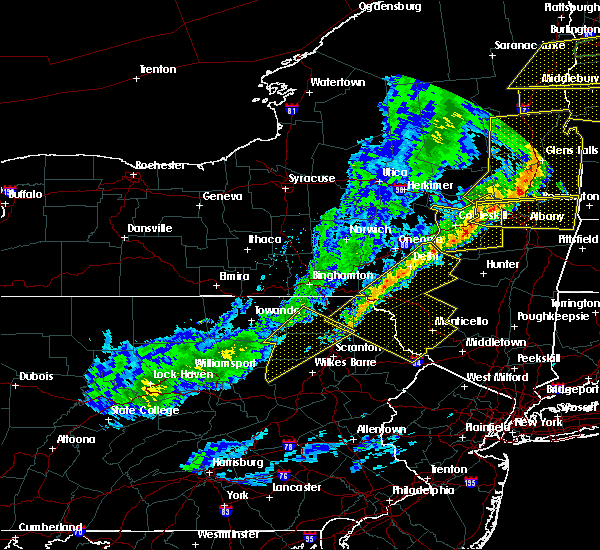 severe thunderstorms will be near, wyalusing around 430 pm edt. sugar run around 435 pm edt. laceyville around 440 pm edt. kasson brook and lovelton around 445 pm edt. forkston around 450 pm edt. noxen and meshoppen around 455 pm edt. 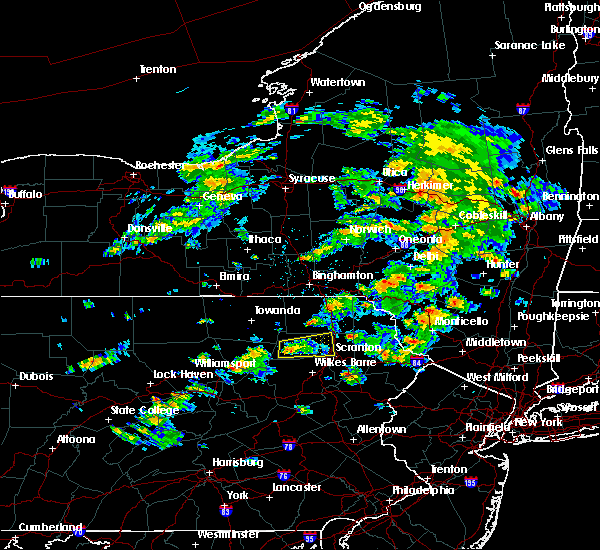 harveys lake, mehoopany and evans falls around 500 pm edt. beaumont around 505 pm edt. 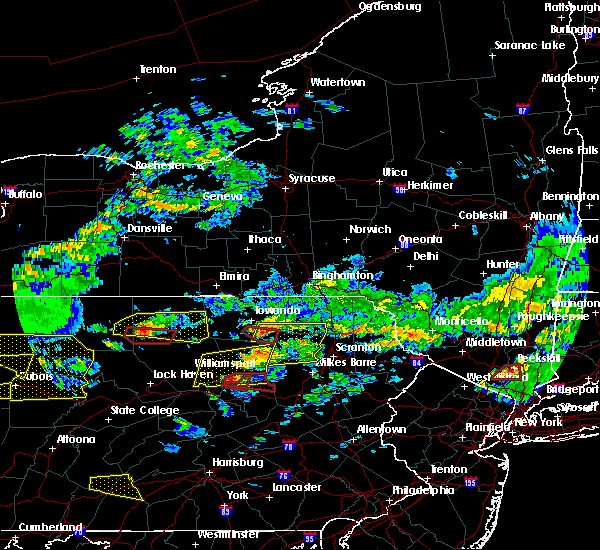 A tornado watch remains in effect until 1100 pm edt for northeastern pennsylvania. 8/7/2018 2:55 PM EDT At 255 pm edt, a severe thunderstorm was located near osterhout, or near tunkhannock, moving east at 20 mph (radar indicated). Hazards include ping pong ball size hail and 60 mph wind gusts. People and animals outdoors will be injured. expect hail damage to roofs, siding, windows, and vehicles. expect wind damage to roofs, siding, and trees. 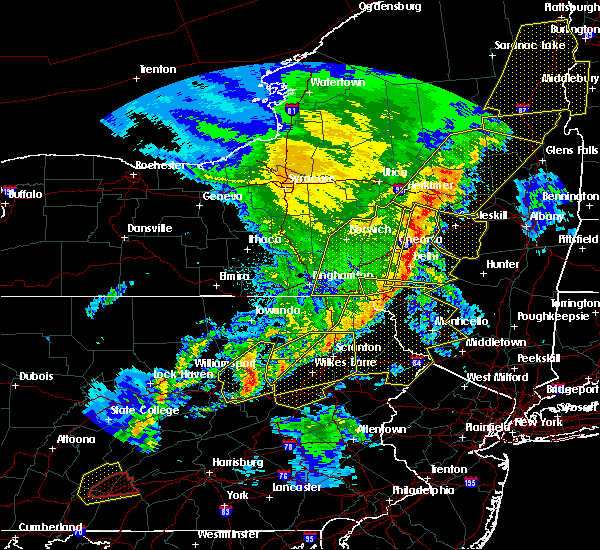 this severe thunderstorm will be near, factoryville, nicholson and la plume around 310 pm edt. waverly and wallsville around 315 pm edt. 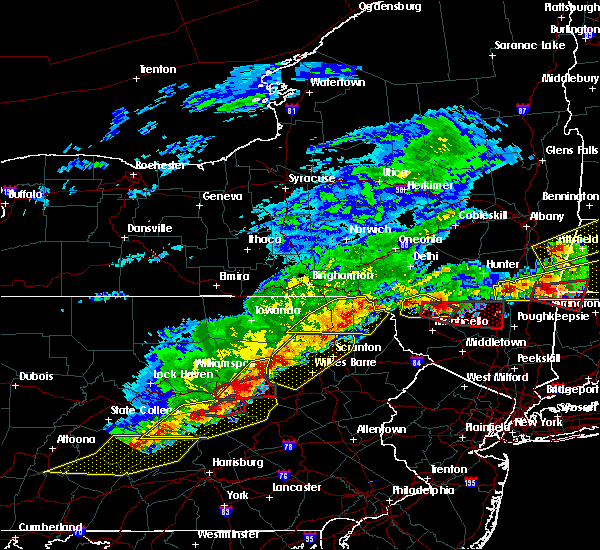 clarks summit, clarks green and dalton around 320 pm edt. scranton and east benton around 325 pm edt. dunmore and dickson city around 330 pm edt. tompkinsville around 335 pm edt. olyphant around 340 pm edt. Carbondale, archbald and mayfield around 345 pm edt. 6/13/2018 8:45 PM EDT At 845 pm edt, a severe thunderstorm was located near sugar run, or near wyalusing, moving east at 55 mph (radar indicated). Hazards include 60 mph wind gusts. Expect damage to roofs, siding, and trees. this severe thunderstorm will be near, laceyville and lovelton around 850 pm edt. mehoopany, meshoppen and forkston around 855 pm edt. noxen, evans falls and lake carey around 900 pm edt. 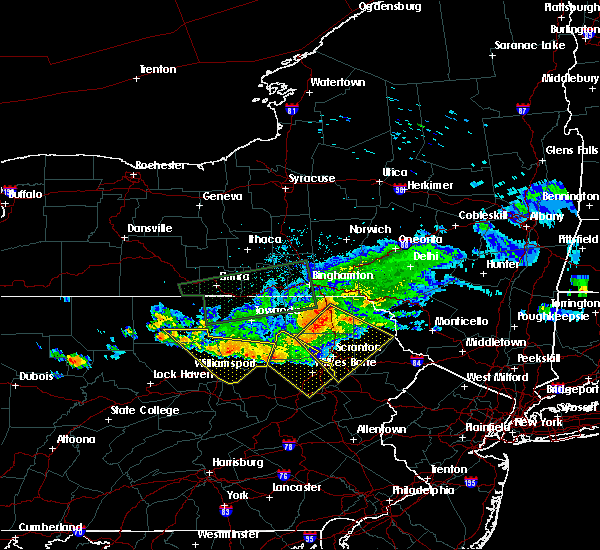 tunkhannock, harveys lake and osterhout around 905 pm edt. 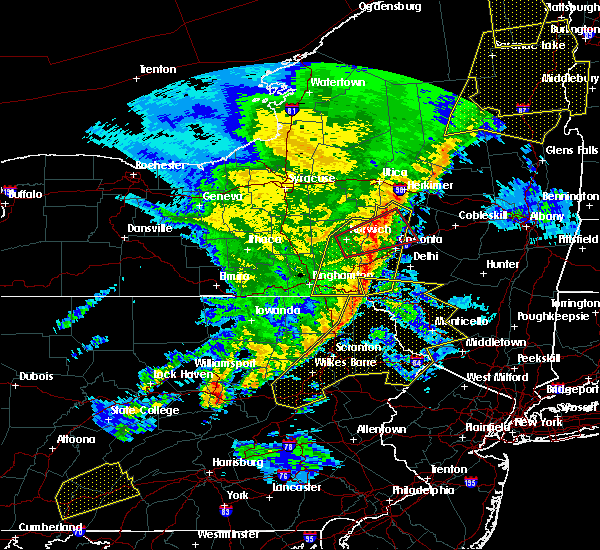 Falls around 910 pm edt. 5/4/2018 8:08 PM EDT The severe thunderstorm warning for southern susquehanna, northwestern lackawanna, northwestern luzerne, southeastern bradford and wyoming counties will expire at 815 pm edt, the storms which prompted the warning have weakened below severe limits, and have exited the warned area. therefore the warning will be allowed to expire. 5/4/2018 7:33 PM EDT At 732 pm edt, severe thunderstorms were located along a line extending from near montrose to near lovelton, moving east at 50 mph (radar indicated). Hazards include 60 mph wind gusts. Expect damage to trees, and power lines. these severe storms will be near, montrose around 740 pm edt. 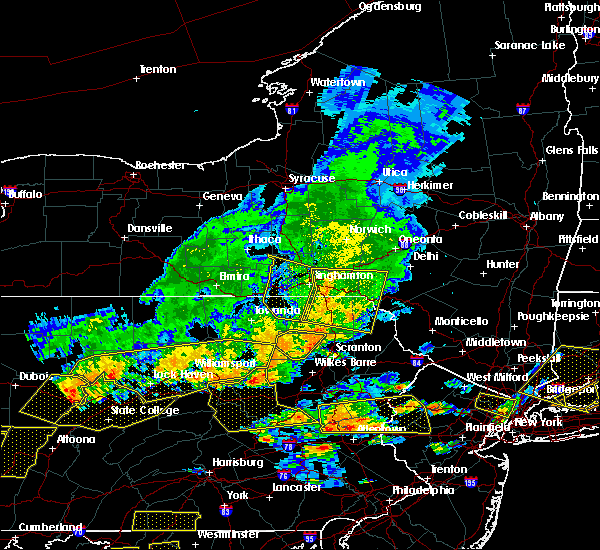 harveys lake, beaumont and evans falls around 750 pm edt. falls around 755 pm edt. Forest city around 805 pm edt. 5/4/2018 7:13 PM EDT At 712 pm edt, severe thunderstorms were located along a line extending from little meadows to near lincoln falls, moving southeast at 55 mph (radar indicated). Hazards include 60 mph wind gusts. Expect damage to trees, and power lines. 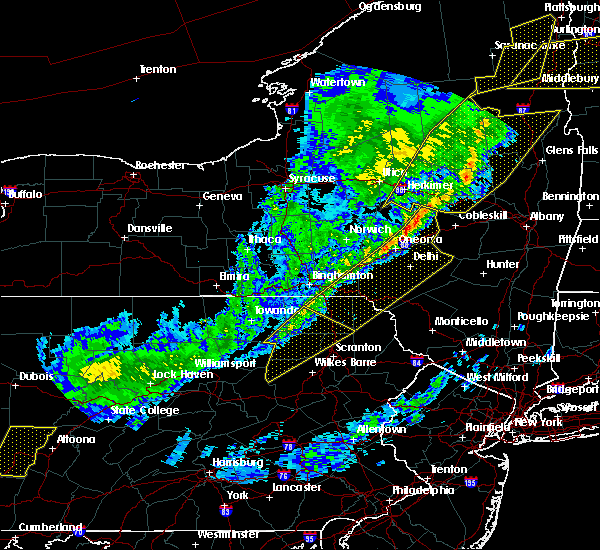 severe thunderstorms will be near, little meadows, friendsville and warren center around 720 pm edt. montrose around 730 pm edt. lovelton around 735 pm edt. forkston and kasson brook around 740 pm edt. noxen around 745 pm edt. 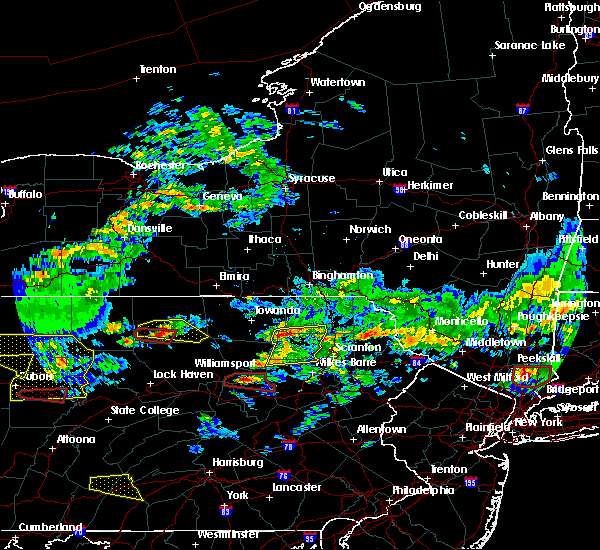 harveys lake, beaumont and evans falls around 750 pm edt. falls around 755 pm edt. Forest city around 800 pm edt. 8/22/2017 7:00 PM EDT At 700 pm edt, a severe thunderstorm was located near ricketts glen state park, or 18 miles north of berwick, moving east at 35 mph (radar indicated). Hazards include 60 mph wind gusts and quarter size hail. Minor hail damage to vehicles is possible. expect wind to cause damage to trees, and power lines. this severe thunderstorm will be near, sweet valley around 710 pm edt. harveys lake and noxen around 720 pm edt. beaumont and evans falls around 725 pm edt. 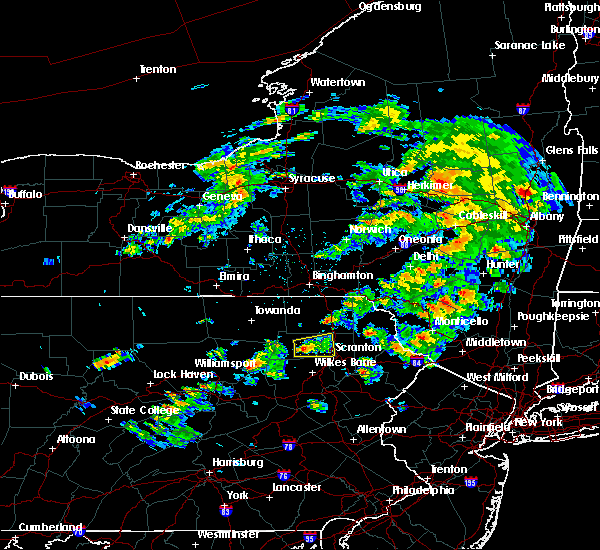 luzerne around 730 pm edt. falls, west wyoming and back mountain around 735 pm edt. Pittston around 740 pm edt. 7/24/2017 3:26 PM EDT At 326 pm edt, a severe thunderstorm was located over auburn center, or 11 miles north of tunkhannock, moving southeast at 25 mph (radar indicated). Hazards include quarter size hail and very heavy rain. Minor damage to vehicles is possible. this severe thunderstorm will be near, springville around 335 pm edt. lake carey around 345 pm edt. nicholson and hop bottom around 400 pm edt. glenwood around 405 pm edt. factoryville, la plume and wallsville around 410 pm edt. 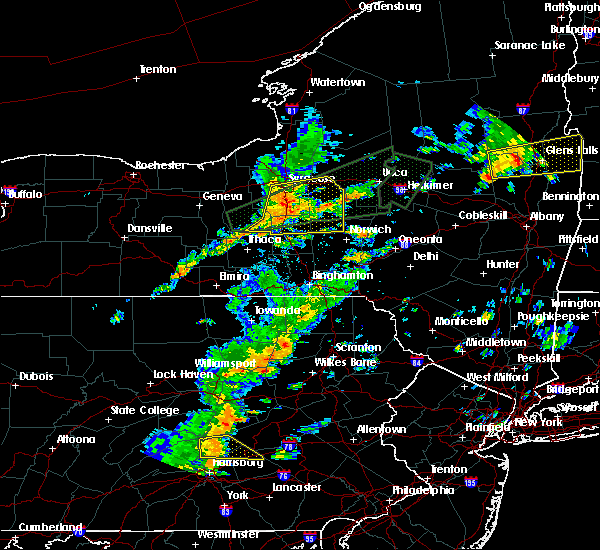 Waverly, clarks summit and dalton around 420 pm edt. 7/20/2017 4:28 PM EDT At 428 pm edt, a severe thunderstorm was located near friendsville, or 7 miles west of montrose, moving southeast at 45 mph (radar indicated). Hazards include 60 mph wind gusts. Expect damage to trees, and power lines. this severe thunderstorm will be near, montrose and springville around 440 pm edt. harford and hop bottom around 450 pm edt. nicholson and glenwood around 455 pm edt. Dalton, factoryville and la plume around 500 pm edt. 7/25/2016 3:52 PM EDT At 352 pm edt, a severe thunderstorm was located over tunkhannock, moving southeast at 35 mph (radar indicated). Hazards include 60 mph wind gusts and nickel size hail. Expect damage to roofs. siding. and trees. this severe storm will be near, osterhout around 400 pm edt. 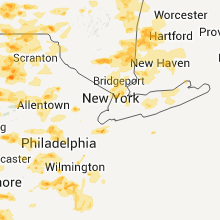 Falls and factoryville around 405 pm edt. 7/25/2016 3:33 PM EDT At 332 pm edt, a severe thunderstorm was located over laceyville, or 7 miles southeast of wyalusing, moving southeast at 35 mph (radar indicated). Hazards include 60 mph wind gusts. Expect damage to roofs. siding. and trees. this severe thunderstorm will be near, forkston around 335 pm edt. 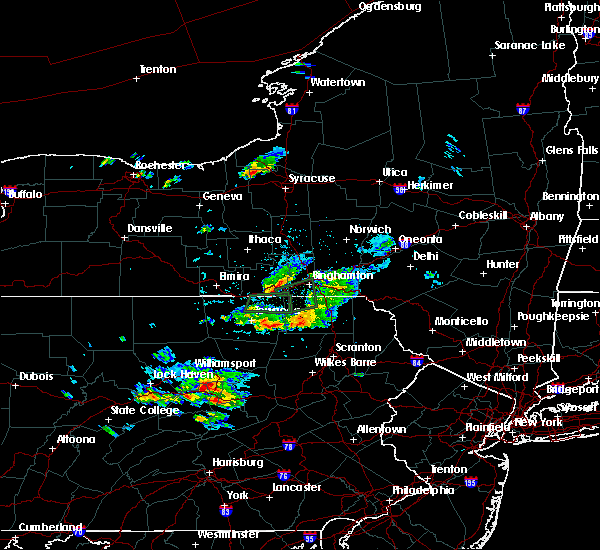 mehoopany and meshoppen around 340 pm edt. 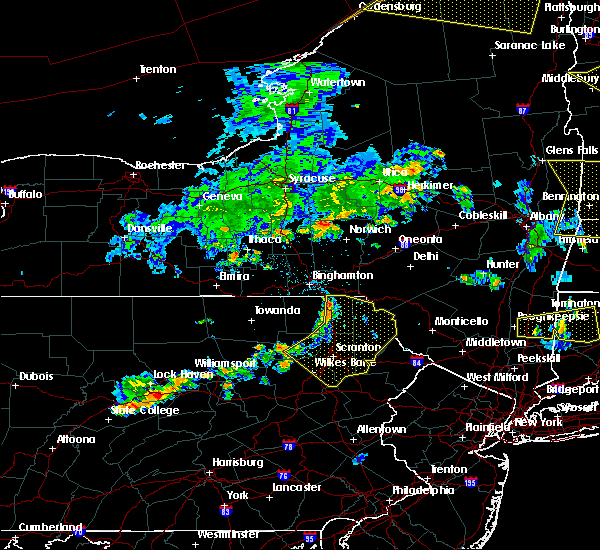 tunkhannock, lake carey and evans falls around 350 pm edt. osterhout around 355 pm edt. 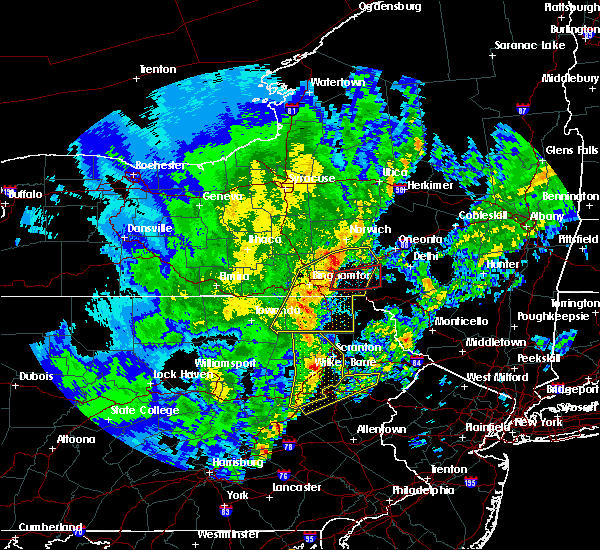 falls around 400 pm edt. Factoryville around 405 pm edt.